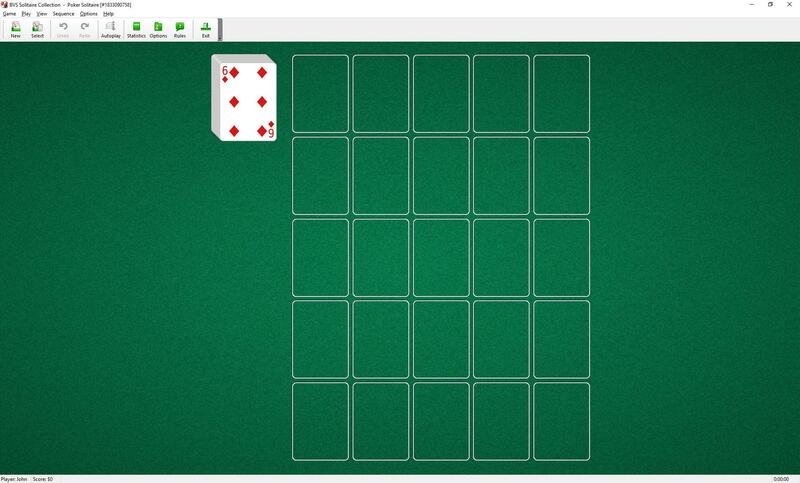 Poker Solitaire uses one deck (52 cards).You have 25 tableau piles. Each tableau pile may contain only one card. You cannot move cards from one tableau pile to another. The game is counted as Won if your total score is 70 or more. This game is entirely different from any other solitaire variations.